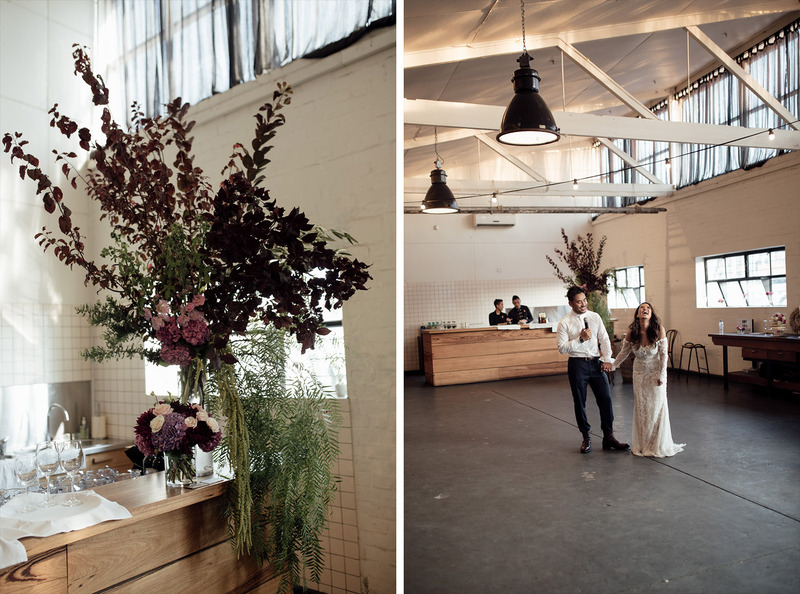 Selecting a wedding venue is nothing short of a mammoth task, I know because I’ve done it. I’ve heard countless stories from clients and friends about how they wished they had some trusted suggestions. 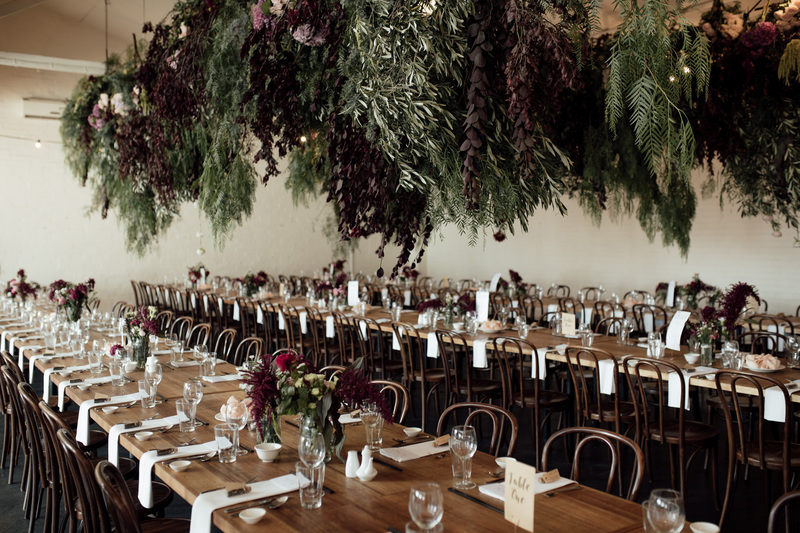 So here it is, my curated list of Melbourne’s 10 most unique wedding venues. Nestled in the backstreets of Collingwood you’ll find Rupert on Rupert the aptly named cozy warehouse space that’s absolutely worth finding. This venue holds a special place in my heart–it is where I chose to have my wedding, so naturally, it’s at the top of my list. On walking in you are greeted with tendrils of greenery, amber-lit lamps and mismatched—yet super cool—vintage furniture. The polished concrete floor and copper surfaces offer an industrial feel, while the oversized windows and exposed beams give this venue a light airiness. This lofty leafy space, accommodates for up to 80 seated for a banquet or 200 cocktail style in the Main Dining Hall with a fireplace is the centerpiece, offering gorgeous ambiance for winter weddings. To top off an already amazing venue, Rupert’s head chef Sam is an incredible creator of tasty fare, catering for all dietary requirements is easy as! Nursery by day, stunning wedding venue by night, Glasshaus is exactly as its name suggests. 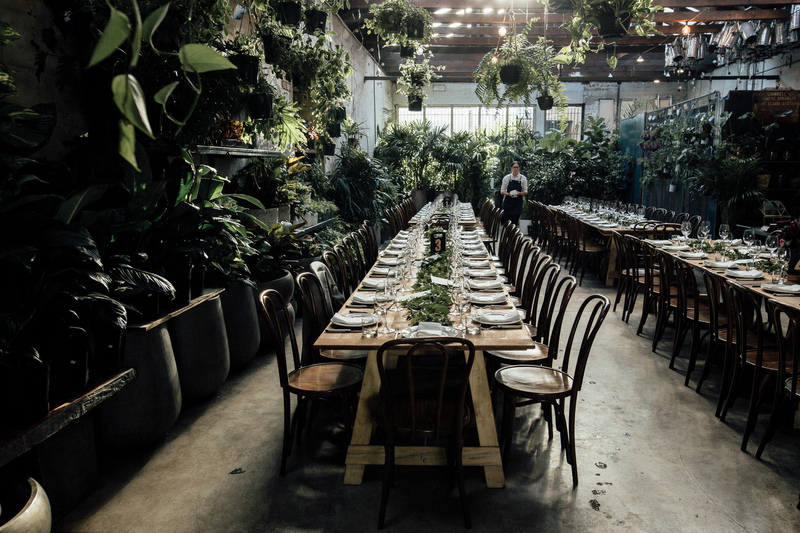 Wall to wall foliage and flowers, this life-sized terrarium sits inside a roaring twenties styled warehouse and is somewhat of a botanical paradise. Plants potted in ceramic and metal, all shapes and sizes, are stacked on shelves affixed to the wall, creating a living backdrop perfect for photos. 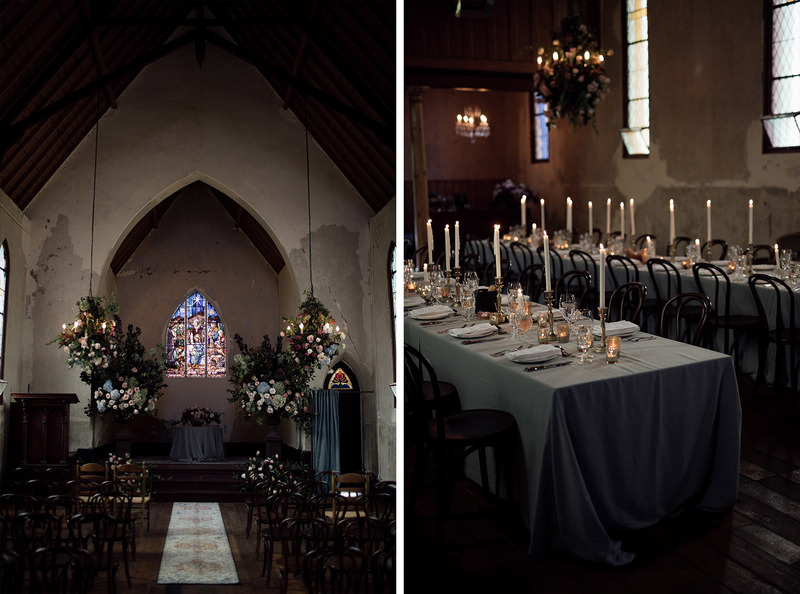 There are both inside and outside spaces suitable for day and evening weddings; 88 people for sit-down dinners and up to 125 people for cocktail parties. While there is no on-site catering at Glasshaus, this allows you to choose your perfect caterer. So really, at The Glasshaus, they have you covered no matter what your style of wedding. 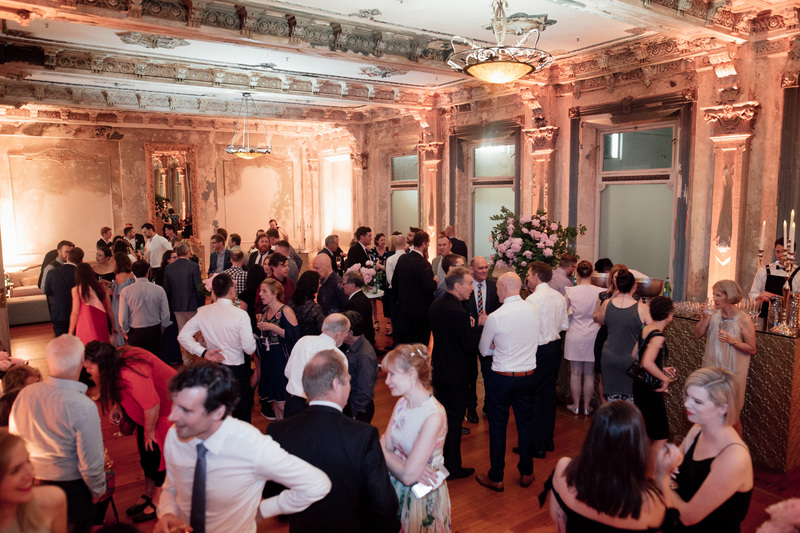 Taking pride of place on the first floor of the famous George Hotel, recently refurbished and reopened, The George Ballroom is everything you’d expect from this iconic St Kilda venue. If Kensington Palace had a little sister, this would be it. Old world charm complete with columns, stain glass, and gilded mirrors, this Victorian-style venue impresses from floor to ceiling. 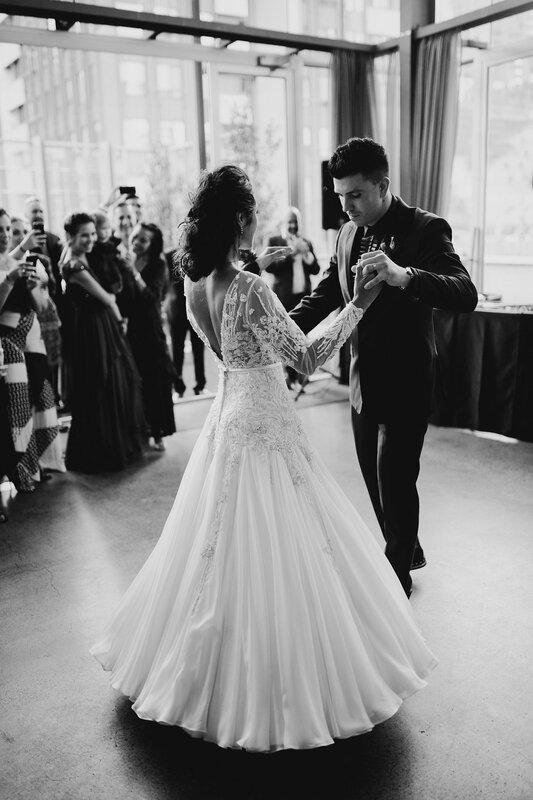 Accommodating up to 150 seated and 200 cocktail style, The George Ballroom is an ornate and elegant wedding venue located beachside, making it a great spot for your photos as well. Reminiscent of a country barn yet with a distinct Melbourne vibe, The Brunswick Mess Hall lays tucked inside a heritage listed building on the bustling Sydney Road. 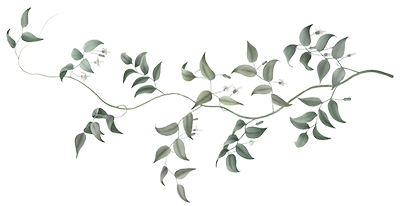 The dark glossy leaves of ivy cascade from the rafters and sway amongst the pendant lighting-no need for extra decoration here, the ivy has you covered! 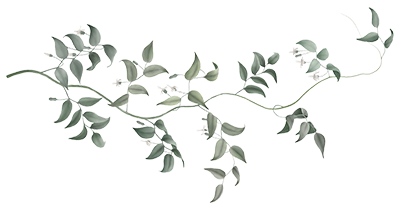 With capacity for 140 sit down or 200 standing, this venue boasts a moreish menu drawing influence from South East Asia, lending itself nicely to both canapé and share plate style service. 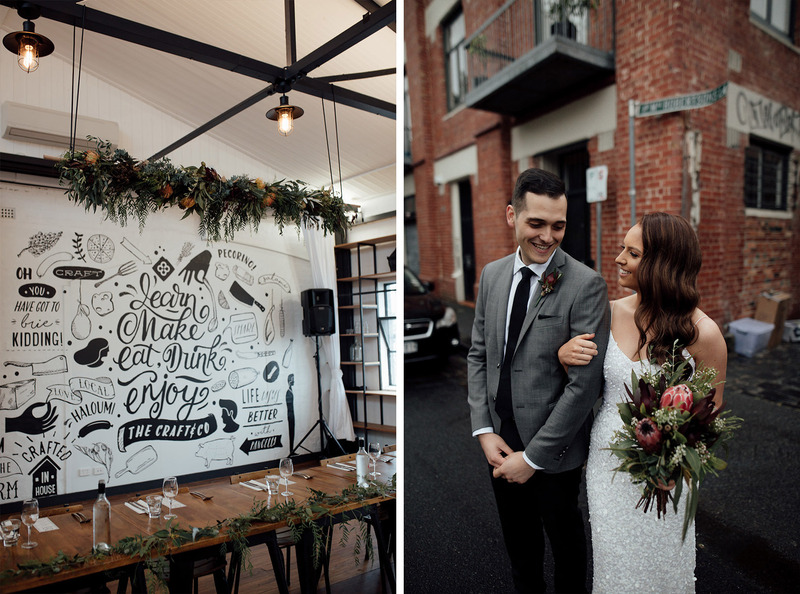 Not as polished as other wedding venues, but every bit as cool, The Brunswick Mess Hall is covered in hanging frames and wall art. The “In Mess We Trust” slogan—resembling an 80s metal concert poster—provides for a quirky backdrop for your wedding snaps. 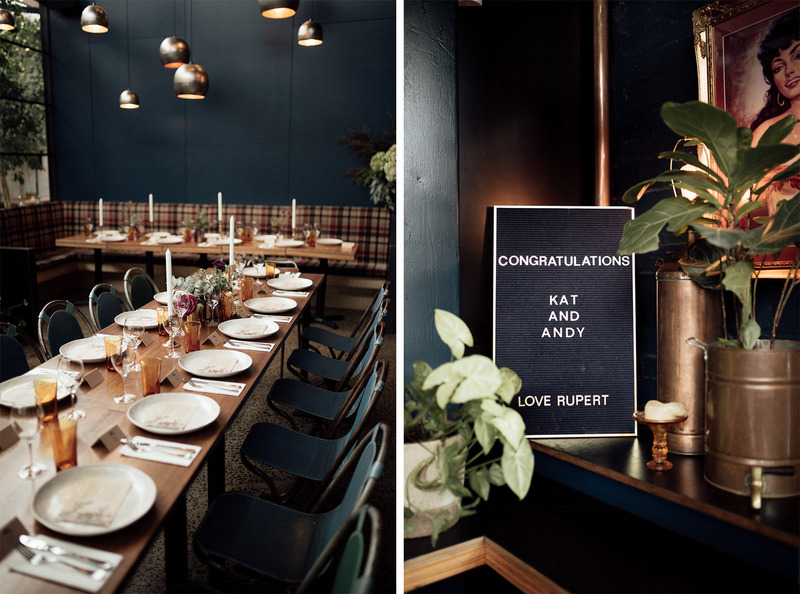 This little pocket of awesome is ideal for your not–so–run–of–the–mill wedding party. 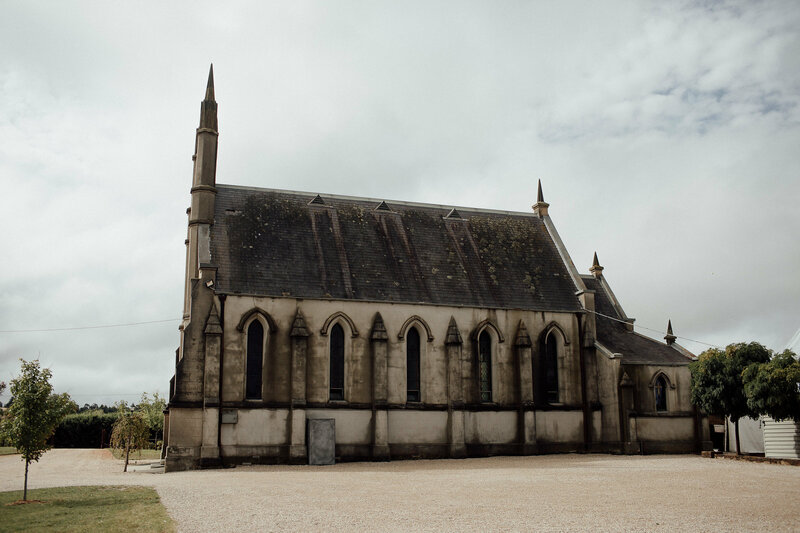 Located at the top of a hill in the quaint Taradale you’ll find Churchill, a Little–House–on–the–Prairie–esque old country church with a whole lotta charm. Although not technically in Melbourne (I’ve never been one to follow rules!) this is a privately owned estate–turned–wedding–venue at the edge of Fryers Ridge Forest and is absolutely worth the hour–and–a–bit drive, trust me. Churchill accommodates for 100 sit down, 120 cocktail style or 150 with a marquee. 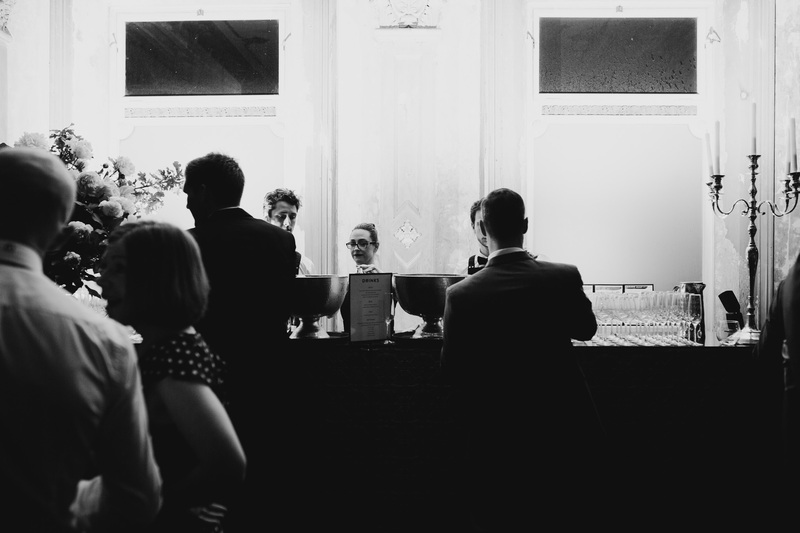 The venue is a fluid space allowing you to bring your own flair to create a truly bespoke experience for you and your guests. Beneath the Brunswick Bitter sign and through the graffitied roller door lies Pope Joan, a venue where warehouse lamps, exposed brick and weatherboard come together to create a space that is unapologetically northside. 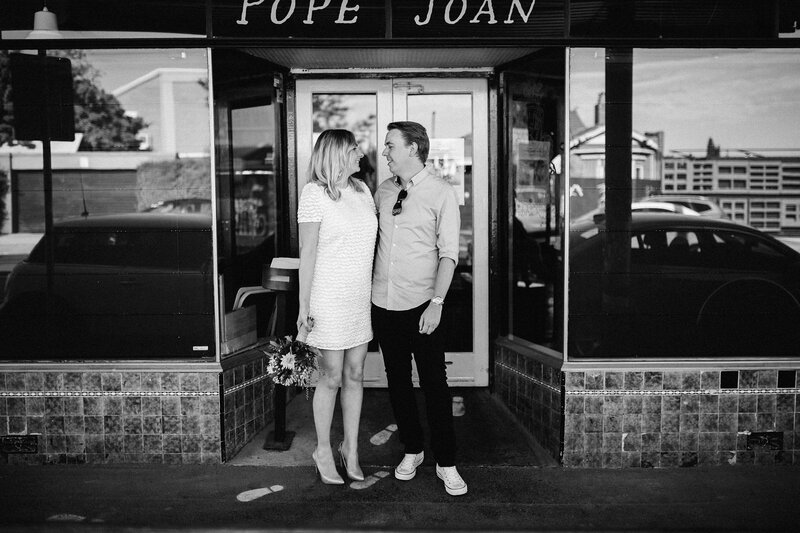 Pope Joan is not dissimilar to a European grandparent’s backyard, perhaps with a little more funk and a little less veggie garden. The multicoloured corrugated iron matches the milk bar style umbrellas making for a bright vibrant space, one suited to a casual and intimate wedding, up to 120 seated or standing. Owner and Chef Matt Wilkinson has graced the kitchens of Vue de Monde and Circa and has two cookbooks under his belt, so you can be sure that the eats coming out of his kitchen are nothing short of utter deliciousness. Owners Tom and Pip not only love putting on weddings at Collingwood Children’s Farm, they too got married right there in the paddock! 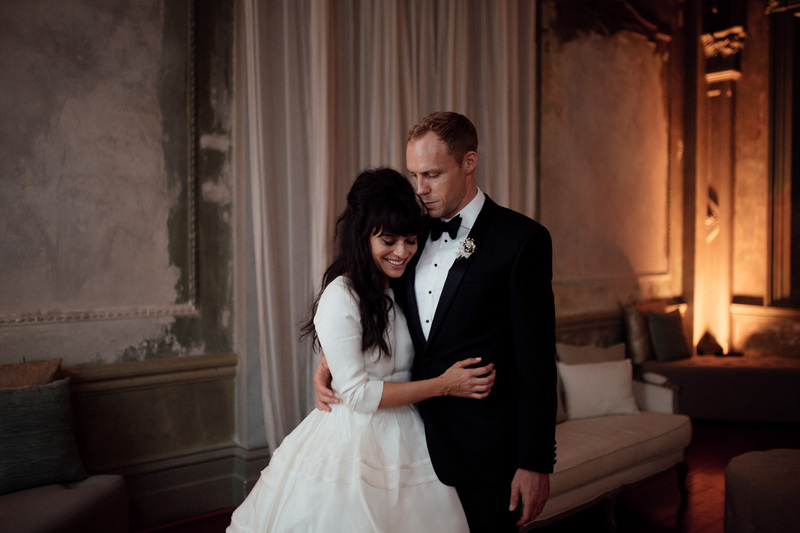 With these two at the helm, you can rest assured that your wedding is in experienced (and caring) hands. A 7-hectare farm located only 4.5km from Melbourne’s CBD gives you to the opportunity to have the best of both worlds (literally!). Photos with a backdrop of the city and on lush green pasture in the country without having to travel very far at all. 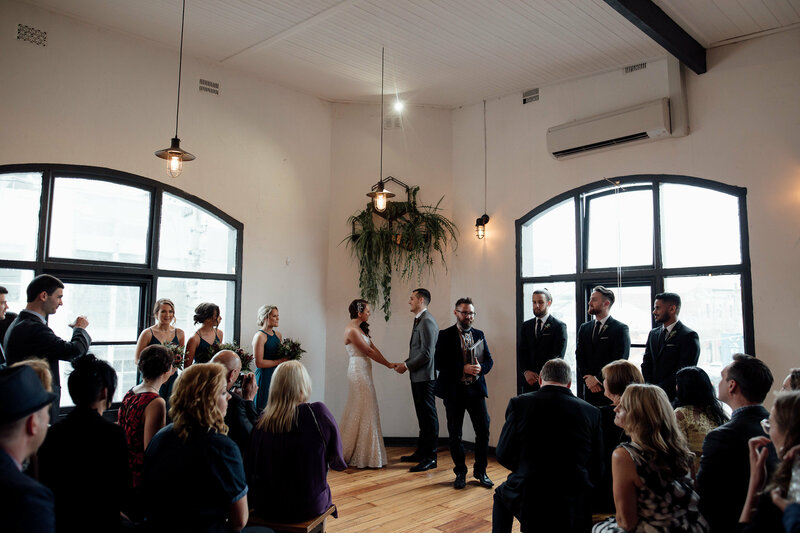 After your ceremony under the arms of a 100-year-old oak tree or out in the sprawling paddock you can then choose from three spaces to keep the celebrations going. 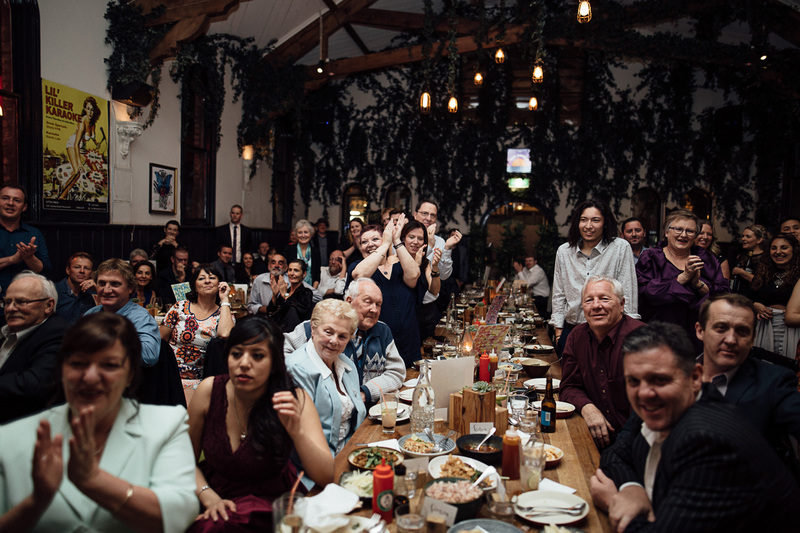 There’s the barn that’s been there for a century, which accommodates 100 seated or 150 standing, a marquee on the paddock for parties of 150 or more, or for smaller groups, the Farm Café provides the perfect intimate space. Whichever space you choose at Collingwood Children’s Farm, you will have an absolute ball of a time. 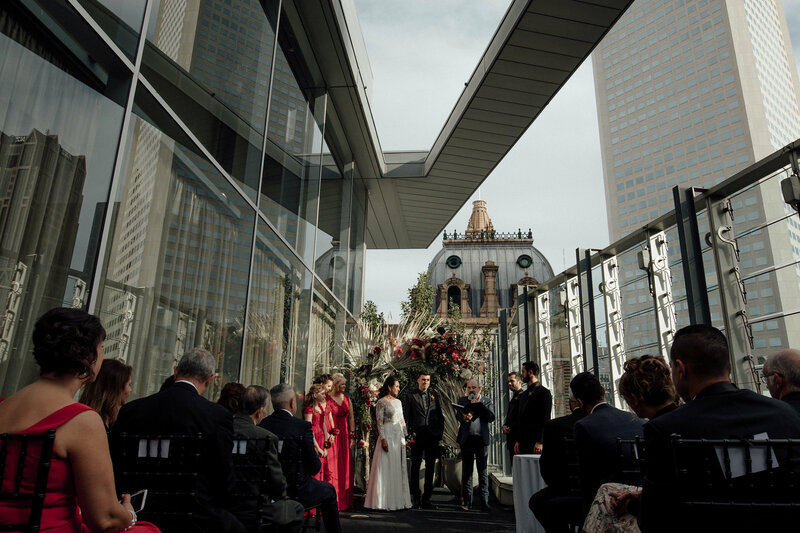 Located on the top floor of the GPO Building is Alto, a chic venue with an expansive rooftop terrace, just made for ceremonies and of course, beautiful photos. The space holds up to 150 guests and is adorned with a six-metre long mirrored bar, not to mention three oversized chandeliers that are a statement in themselves. Catered for exclusively by Damm Fine Food, you can expect seasonal and locally sourced ingredients of the utmost quality. If a sleek and stylish venue with sparkling city lights is what you are after, then you really can’t go past Alto. 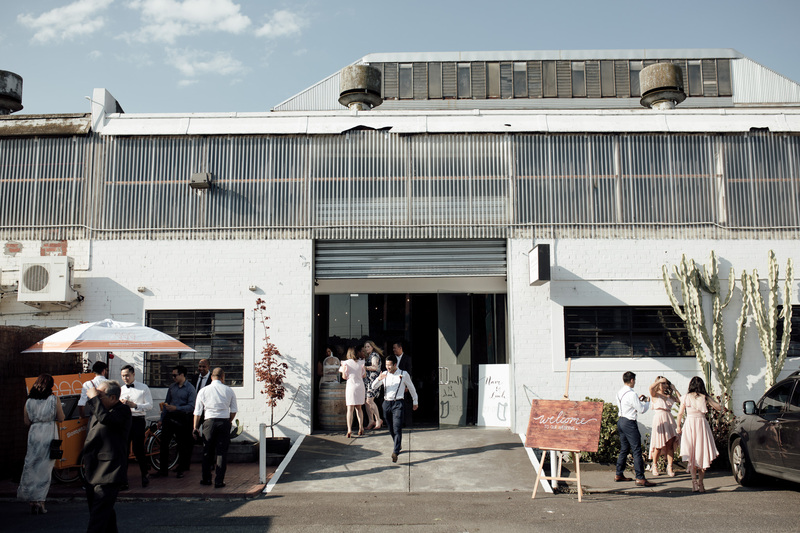 At the banks of the Maribyrnong River is where you’ll find Gather & Tailor; a unique warehouse space complete with high ceilings, exposed beams and flooded with natural light. 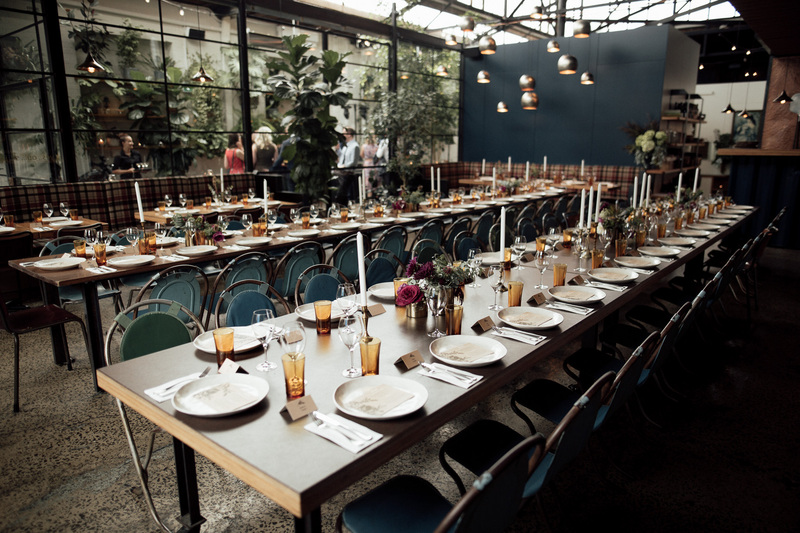 Perfect for larger guest lists of 170 seated and up to 300 cocktail style, Gather & Tailor is a venue that can be dressed to suit your style. Pot & Pan Melbourne take care of all that is culinary, however, you are able to bring in external caterers of your choosing. Gather & Tailor is a space where anything is possible, just BYO imagination. 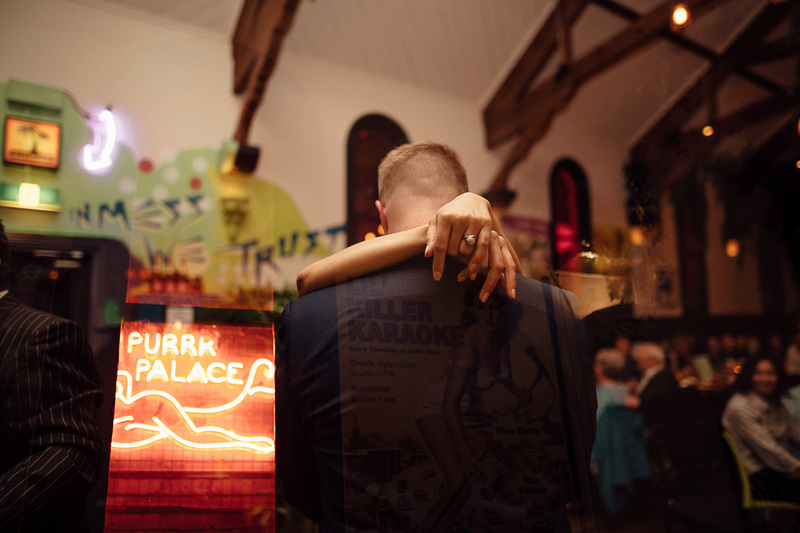 With such a variety of event areas on offer, there’s no doubt you will find the perfect space for your wedding party. The food is focused on local Aussie produce, promising delectable fare from canapés through to dessert. Should you like to make your day a little different, Craft & Co offer super cool activities for you and your guests. Some of these include: an hour session with a gin distiller and pasta class or even salami-making workshop! And in case that isn’t enough, they can even supply you with miniature bottles of house-distilled gin ($11 each) for your guests to take home as a memento of your special day. 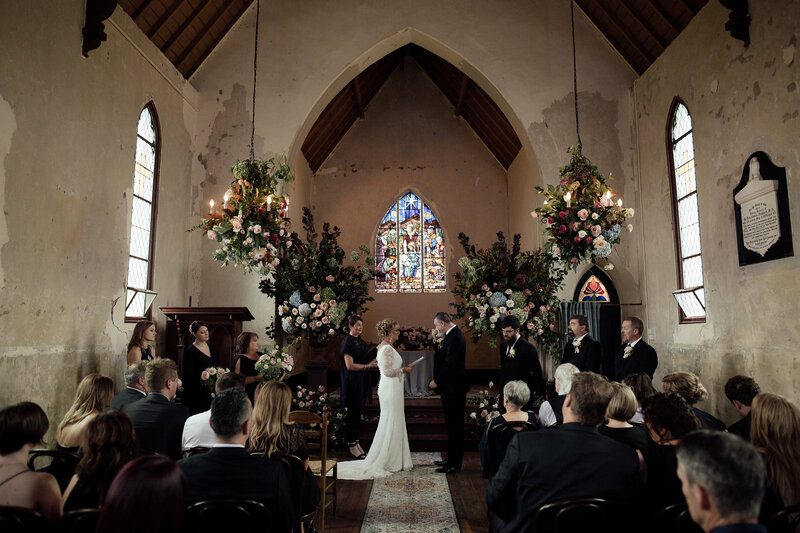 Well, there you have it: my curated top 10 list of Melbourne’s most unique wedding venues; all quite diverse yet beautiful in their own right. Don’t forget to click the links to check out the venues’ individual websites for detailed information. If you have a venue you would have loved seen in this post, please give me some details in the comments below. 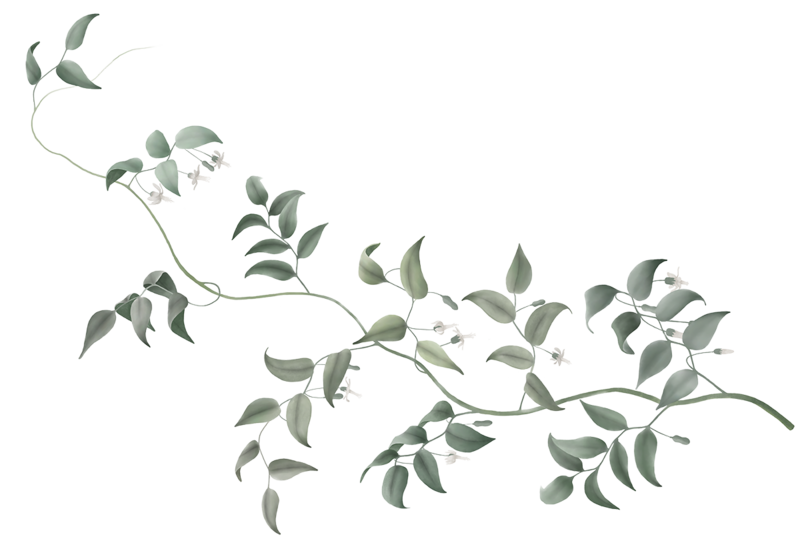 Also, if you found this blog post helpful, I would love to know about it! Super cool write up! All of these venues look so epic, especially the Glasshaus! Thanks Steve! 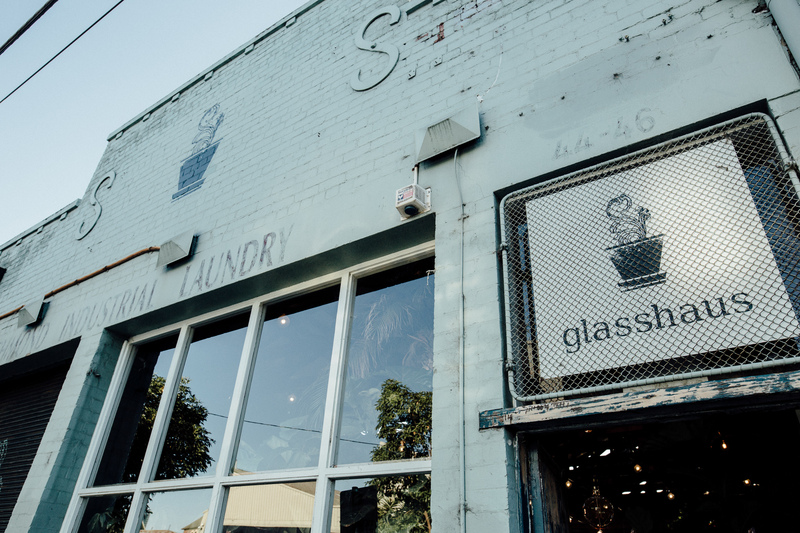 We have so many rad venues in Melbourne, it is actually hard to make such a small list! I haven’t shot a gay wedding in Melbourne, yet! I have some booked in though, so I will be able to share the love on my website! So much useful info Jai I love all this info you provide your clients. You make it so easy for them.